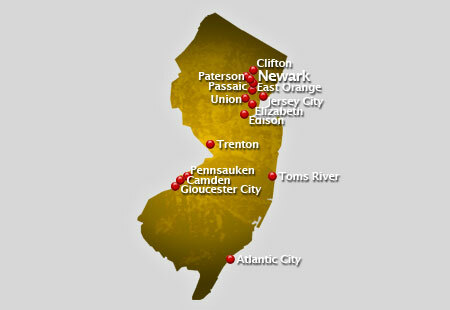 AirSign provides extensive aerial advertising coverage throughout all areas of New Jersey. From beach aerial advertising to sporting events and over busy highways, we'll display your message to crowds in a way your audience will be certain to remember. With a total land area of 8,729 square miles, the state of New Jersey ranked 47th largest state in the U.S. But despite of its smaller land area, New Jersey ranked 1st in population density all over America. There are about five regions in the state of New Jersey. The Gateway Region is the most popular region for residents because of its urbanity and population density. The Skylands is a more rural region, mountainous yet still has many residents. The Shore is located along Atlantic Coast. The Delaware Valley covers the centralwest and the southwest and within metropolitan Philadelphia. And the fifth region, the Pine Barrens, is located in the interior part of the state and has a lower population density than any other region due to its thick forests. Unlike any parts of the state, the northwestern area of New Jersey has a humid continental climate with warm humid summers and cold winters due to its higher elevation. Other parts of the state has a humid subtropical climate with hot summers and cool winters. New Jersey takes pride of its large number of resort areas with a total area of 127 miles of Atlantic coastline. This makes tourism as the second largest industry of the state. Other interesting destinations in New Jersey are the Edison National Historic Site in West Orange, Liberty State Park, The Delaware Water Gap and the New Jersey State Aquarium in Camden. Another great attraction in the state is the Princeton University, known for its higher level of teaching. In fact, New Jersey is one of the best public education systems in the United States, with second in rank of high school graduates continuing to college. In sports, there are about five major professional sports league teams in New Jersey such as the New Jersey Devils of the National Hockey League and the New Jersey Nets of the National Basketball Association. Crowds are an aerial advertiser's paradise! A typical flight over popular events or locations can result in as many as 8,000,000 impressions! Have us fly your aerial banner over the crowds in New Jersey to put your message wherever you want, whenever you wish at the best value in mass marketing!